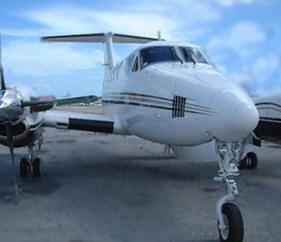 May 18, 2012 - The Supreme Court of the Turks and Caicos Islands (TCI) granted an injunction to legally halt the efforts by the Turks and Caicos Airport Authority (TCIAA) and Servisair SAS to begin ground handling services at Providenciales Airport with a new joint venture company called Servisair PLS. While the injunction is in place, Servisair PLS must not start operations until the Supreme Court decides whether the joint venture is lawful. Servisair is an aircraft ground handling company, operating at 175 airports worldwide. It is a subsidiary of Derichebourg. Its head office is in the Servisair House in Runcorn, Cheshire, it is registered in England. The injunction comes on an application brought by Flight Support Ltd., represented by Misick and Stanbrook. The concerns centered around TCIAA acting as both the regulator and a competitor in ground handling services at Providenciales International Airport, thus creating unfair advantages for the joint venture company. The concern being that this could bankrupt any competitors because of a lack of a level playing field and creating a monopolistic position which would be to the detriment of the traveling public. Flight Support was joined in the complaint by Albray Butterfield of TCA Handling and Shaun Malcolm of SkyBlue Ltd. as additional interested parties. TCA Handling provides ground handling services to American Airlines and SkyBlue was denied permission to enter the ground handling business by the TCIAA, whilst the Authority advanced their joint venture with Servisair. In an oral ruling, the Court acknowledged the application for Judicial Review raised serious concerns about the lawfulness of the joint venture. These concerns included the lack of proper investigation by the TCIAA into whether a joint venture was needed. Further concerns included the inherent conflict of interest in the regulator being involved in commercial competition with those that it regulates. Documentation submitted for consideration included a Joint Venture Agreement granting Servisair PLS Ltd. free access to facilities and equipment and waiving import taxes, import fees, and work permit fees. These special considerations would be granted by the TCIAA, which would also serve to financially benefit them as a partner in the operation. The Court agreed that there was a possibility of the joint venture having the effect of creating an eventual monopoly. ?We feel strongly it is highly irregular for TCIAA to be placed in the conflicting position of being both a regulator of Servisair and having a financial interest in its success,? said Lyndon Gardiner, founder and chairman of Flight Support. ?This backdoor nationalizing of ground handling can only lead to higher prices and less service in the future. This joint venture was deeply flawed every step of the way.? Mr. Albray Butterfield, Jr, of TCA Handling, also represented by Misick and Stanbrook, agreed with those sentiments. The end result, he says, will be a destruction of local companies and de facto nationalization of the sector, crucial to the country?s main industry of tourism. InterIsland Aviation Services is the parent company of Flight Support Ltd., as well as Air Turks & Caicos, the flag carrier for Turks and Caicos. InterIsland Aviation is subject to regulation by the TCIAA.